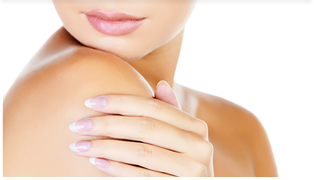 At Piedmont Plastic Surgery in Greenwood, South Carolina, we offer a wide range of cosmetic and reconstructive surgery options in addition to nonsurgical cosmetic procedures and skin care treatments. Board-certified plastic surgeon Dr. Ted Vaughn and the team at Piedmont Plastic Surgery focus on your unique goals and physical features to determine the right procedure or blend of procedures necessary to achieve optimal results and your ultimate satisfaction. Most cosmetic surgery procedures can be performed in our accredited in-office surgical suite. Unlike many plastic surgeons and cosmetic surgeons who offer dermal fillers through their offices, Dr. Vaughn has a nuanced understanding of individual facial features and personally administers all BOTOX® Cosmetic and soft tissue filler treatments. If you live in the Greenwood or Greenville, South Carolina, areas and would like to learn more about your cosmetic surgery, reconstructive surgery or skin care treatment options, please contact Piedmont Plastic Surgery online or call 864-223-0505 to schedule your personal consultation.